Driving is essential and you never know at which point of life it becomes your necessity. It is crucial to start with driving basics and reach an advance level. You need to abide by the rules and regulations framed by the Alberta government for driving. Driving is a skill that you can learn from your friends, family member or any acquaintance. But to be an excellent driver you require training from professionals. An excellent driver can keep everyone safe on the roads. It is strongly advised to learn driving from professional and certified driving school. 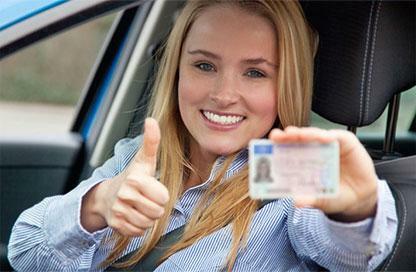 A certified driving instructor must be make you learn the nitty-gritty of driving. My Way Academy Driving can teach you everything about driving including evasive maneuvers. My Way Academy Driving have special lecture rooms to provide relevant driving rules and develop confidence among the new drivers. Our all driving programs are approved by the government authorities. We discuss new topics of driving through videos, books and test papers. After completion of the course, we also provide insurance reduction certificate that is accepted by all the insurance companies and can avail you good discounts. We make sure that we offer safe and the most positive environment for driving. Our certified driving instructors believe that learning should be fun and informative. With this objective. they try to develop driving skills among the new drivers. We offer customized driving training programs for everyone: young and old, experienced or inexperienced. We are also in collaboration with insurance companies. Thus, can avail discounts on premium to our graduates. My Way Academy Driving is one of the leading driving instructor schools in Calgary. Our school provides you each and every minor to major information about driving. It is crucial to develop your driving skills and get familiar with the unpredictable roads. Our driving services are meant to provide comfort to the learners of any age group. We will help you in learning driving and also in preparing for the road test. Certification - Our driving schools along with out every driving instructor is certified to render professional driving education. We have attained due certification from the government authorities to provide training. Economical - We provide economical and flexible driving training. Our school holds good reputation in the market and admired by our clients. Experienced Instructors – Our every driving instructor is holds extensive experience in driving education. Our instructors will teach you in the best possible manner irrespective of your age – teenager or 50 plus. Dual Approach – Our school provides both theoretical and practical driving training helping you understand the driving concepts thoroughly. Contact us to learn car driving in Calgary.